Monday is market day in the medieval town of Mirepoix in the Ariège department in France’s south. Sipping my café allonge (half way between an espresso and a long black coffee) in the 14th-century market square, I take in the sights and sounds of one of the busiest markets in the country. I am sitting at a table in an arcade formed by the overhang of half-timbered houses and can see the wooden faces of medieval carvings staring back at me. Sharing the table are expats from Australia and the U.K. and a wonderful woman from New Jersey accompanied by her support dog. The pooch travels with her in the cabin of the plane when she comes to live in France for two months in the spring and another month in the fall. Amid the enticing smells of the stalls and the melodious lilt of French voices we chat about the wonderful life we are having in this welcoming country. 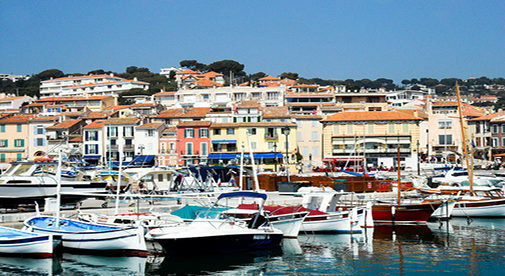 France is the land of romance, history, and culture at an amazingly affordable price. Where else in the world will you be able to select from a thousand different cheeses starting at just $4.55 a kilo. You read that right, that’s the price for a kilo of camembert, brie, or my personal favorite, coulommier (a soft ripened cow’s milk cheese). You’ll need a baguette to go with that. An artisan boulanger (baker) will charge you $1.30 but you can get one from the supermarket for as little as $0.40. So, you have your bread and cheese, all you need now is a bottle of wine, and France has a huge choice of varieties, colors, and prices. A bottle of decent wine from the supermarket will set you back around $8. If you look around you can get some very quaffable wines for less than half that. It just makes sense to immerse yourself in a traditional Gallic lifestyle…walk to the boulangerie with your dog in the mornings for your baguette or croissants or sit at a sidewalk café sipping a coffee or rosé as the world ambles by. With just a little bit of planning, a life in la belle France can be yours. France has no restrictions on foreign ownership. The buying and selling of real estate is heavily regulated, which can make for laborious bureaucracy, but it also ensures a high degree of protection. Without a doubt, the best bargains for retirees and those who are just looking for a change of lifestyle is out in the countryside away from the hustle and bustle of the big towns and cities. 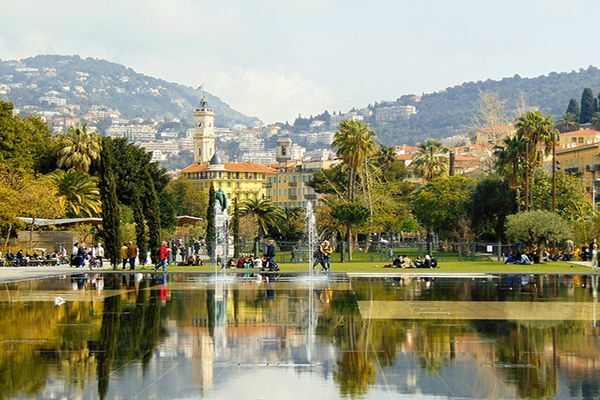 Places like Nice, Cannes, and Provence are must-visit destinations but are choked with tourists, and real estate and rentals are much higher than the rest of France. It is handy to know that the French don’t particularly like old houses or houses that need some work. They are more into triple glazed, hermetically sealed, centrally heated modern dwellings. This means there are plenty of older houses on the market in need of some love and imagination. Some have been on the market for more than two years. Here’s a tip: If a particular property takes your fancy, start your first offer way below the asking price. I’m not talking a few percent here. Start at half the asking price. People will huff and puff but they won’t really be offended and you never know, you may strike a real bargain. You can get a renovation project for as little or even less than €10,000 ($11,500). I found a crumbling stone house waiting for you to save it in the Auvergne in central France. For the serious handy-man or very experienced renovator or for a builder looking for a project, this house is on 368 square meters (about a tenth of an acre) of land. Water and electricity are nearby. I bet the owner would take €5,000 ($5,700) or less. For a meager €14,000 ($16,000) you can get a three-bedroom town house within easy walking distance to shops and cafés with three bedrooms and a good bathroom. It’s in the Cher department just south of Paris and I really like this place. All it needs is updating and decorating. A new kitchen would also go down well but it looks like someone has already done some of the work, so you could live here quite comfortably while you are renovating. Finally, the place we should all consider buying…only €28,500 ($32,500) and you could probably get it for less…. This bargain is a four-bedroom house in the village of Bussière-Poitevine in the Haute-Vienne, Limousin in central France. I know this village well. My wife volunteered at a charity shop run by U.K. expats a few hundred yards from this house. It’s close to a boulangerie and a café and is within easy reach of airports at Limoges and Poitiers. There is some work to do on the roof (around €3,000, $3,421) but it is reasonable condition with central heating. The main work is updating and decorating but you could move in straight away and do the work at your leisure. It’s an opportunity to live well at a rock-bottom price. Of course, there are plenty of places more expensive and if your budget stretches to $150,000 or $200,000 you will be able to find a fully renovated house or condominium, which may even come fully furnished. Don’t take my word for it. Go and look for yourself and start your new life in France. Your biggest challenge will be deciding where in this amazing country you want to live. You may choose the windswept beaches and open countryside of Normandy, the cool mountain countryside towards the Swiss border or the picture-perfect Mediterranean coast. But there’s also the rolling fields of the Languedoc Roussillon with the spectacular backdrop of the snow-capped Pyrenees and easy access to northern Spain. My wife Lorraine and I spent nearly three months wandering around the French countryside in a caravan with our Dalmatian, Scooter, looking for the perfect property. We traveled down the west coast to the Pyrenees and back up through the scenic countryside of the Dordogne, Lot, and Perigord before settling on a maison de maître in a small Limousin town. We loved living there, but the house was massive with nine bedrooms, three bathrooms and two acres of land. We decided to sell up, and, after a couple of months on a road-trip through Spain and Portugal, are now on a long-term housesit in the Aude department of southern France, near the market town of Mirepoix, which is in the adjoining Ariège department. It has a spectacular view of the Pyrenees and we’re next door to a chateau and an old disused church. We look after a dog and two cats and are really enjoying life. 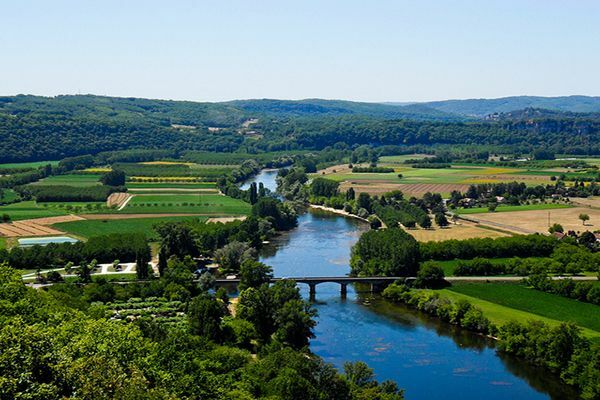 It’s a short drive to some terrific small towns with every service you could want, and at each turn in the road there is a spectacular view of rural French countryside. We look forward to joining you for a coffee. Come on over.